The sunstone meaning places this vivid and refreshing gemstone among the most powerful stones used in crystal healing. Sunstone, also known as heliolite, is a gemstone of leadership and optimism. Mounted in exquisite pieces of jewelry, sunstone dispels fears, phobias and instills liveliness, determination, and optimism. The sunstone can be found in a number of locations around the globe. In the US alone, it can be sourced from Pennsylvania, Virginia, Utah, and Oregon among others. The variety found in Oregon is especially known for its glimmering trait which is primarily due to the copper inclusions inside the stone. Other inclusions also include goethite and hematite. The inclusions in the stone mimic the appearance of an aventurine which is a form of quartz that’s famous for its translucent color and mineral inclusions. Thus, the monicker Aventurine-feldspar. Deposits of Sunstone are also found in Canada, Russia, China, Norway, Madagascar, India, and Sri Lanka. The sunstone gemstone meaning is strongly associated with good luck, as well as abundance. The most notable trait of the sunstone crystal is its flaming red and orange hues, reminders of the Sun’s radiance and power. Just as the Sun is the protector of life here on Earth, the sunstone gemstone is the protector of life and the promoter of positive energies, determination and will, as well as enhanced renewal. The sunstone meaning stands for light and warmth reflecting from all things said and done. Sunstone may be a gemstone of leadership and mindfulness, but it is also the gemstone of joy. Thus, it inspires self-nurturing, it promotes the build-up of a good nature and bestows a sense of abundance on the wearer. If you have ever seen a sunstone crystal, you will know where its name comes from. This gemstone in the Feldspar family seems to have soaked up the radiance of the Sun. Its orange, gold and red light sparkle bright with mesmerizing iridescences. As sunstone embeds so many vivid and powerful radiances, each of the hues radiates a different type of energy. While the golden yellow energy brings happiness, success, and enthusiasm, the orange color energy is known to promote healthy family relationships, friendships and a sense of belonging. Fully red sunstones, albeit rarer than other varieties, are stones of exuberance, and self-confidence. Scarlet sunstones are stones of spiritual and physical vitality. The color energy of sunstone crystals can be summarized simply by the word ‘energizing’. The golden nuances of sunstone crystals aren’t just promoters of happiness and success. Traditionally, the yellow gold color is associated with royalty, riches and the sun. Against this background, yellow gold crystals inspire cheerfulness and contentment as well as devotion and commitment. The energy of the orange hues in the sunstone crystal inspire devotion and sharing, as well as togetherness and intimacy. Affection and friendship are deeply rooted in the energy of orange. When orange and red meet in one sunstone gem, the color energy is enhanced. Scarlet energy is also a powerful enhancer of vitality, courage, and self-reliance. Crystals of success, skillfulness, and dedication, predominantly scarlet sunstones are worn as talismans for successful relationships. The sunstone meaning stands for abundance. In a nutshell, the different color energies comprised of sunstone crystals bring about an abundance of joy, optimism, determination, and prosperity. Sunstone or heliolite (derived from the Greek ‘helios’ meaning sun) is a powerful healing crystal. As a gemstone that vibrates with the sacral chakra, sunstone is used as a healing crystal for general health problems, but not only. Spiritually, sunstone cleanses the chakras while nurturing and restoring joy through balance. Sunstone primarily enhances physical energy. In addition, the gemstone helps with the healing of illnesses caused by daily stress. As the crystal embodies the warmth and energy of the Sun, it is used as a healing crystal that aids digestion and metabolic disorders. Since ancient times, sunstones have been known to help the healing of sore throats, ulcers and stomach problems. The healing crystal is used in therapies aimed at relieving aches, rheumatism as well as general cartilage problems. Professional athletes use sunstone as an amulet against physical harm, as well as a crystal that helps with soothing cramps, fever or infections. If you are dealing with depression or Seasonal Affective Disorder, the sunstone can help alleviate those conditions by placing the stone on your Solar Plexus. As a powerful healing crystal, sunstone is deemed to be an effective cleanser of one’s aura and chakras. While cleansing the chakras and aura, sunstone paves the way for positive energy, a deeper connection with the self, others and the divine as well as self-reliance. When it comes to broken romantic relationships, sunstone is an effective enhancer of positive energies. When we are attached to dysfunctional relationships, our energies are slowly drained away. Thus, sunstone breaks these toxic spiritual hooks and bestows the strength to say ‘No’. The gemstone promotes independence and self-empowerment. Many who use sunstone in crystal therapy rely on the sunstone spiritual healing properties to relieve the sense of unworthiness caused by unpleasant past experiences. Instead, sunstone promotes balance, optimism and the energy needed to overcome these spiritual blockages. The red-brown hues of the sunstone crystal resonate with the root chakra, while the orange radiance of sunstone vibrates with the sacral chakra. As the root chakra is the epicenter of physical and spiritual energy, the vibrations of sunstone help stimulate both. As such, depressions, lethargy or lack of enthusiasm are dissolved by the energizing properties of the healing crystal. If you’re looking to regain your stamina and strength, Sunstone is just the crystal for you. Spiritually, it will enable a sense of empowerment that sparks strong leadership capabilities. Sunstone heals dependency and enhances independence, self-assurance, and self-sustainability. The sunstone gemstone is an effective protector against stress and fear. This sets the backdrop for healing phobias. As the sunstone meaning is entwined with that of light, sunstone is used to relieve fear of the dark or claustrophobia. 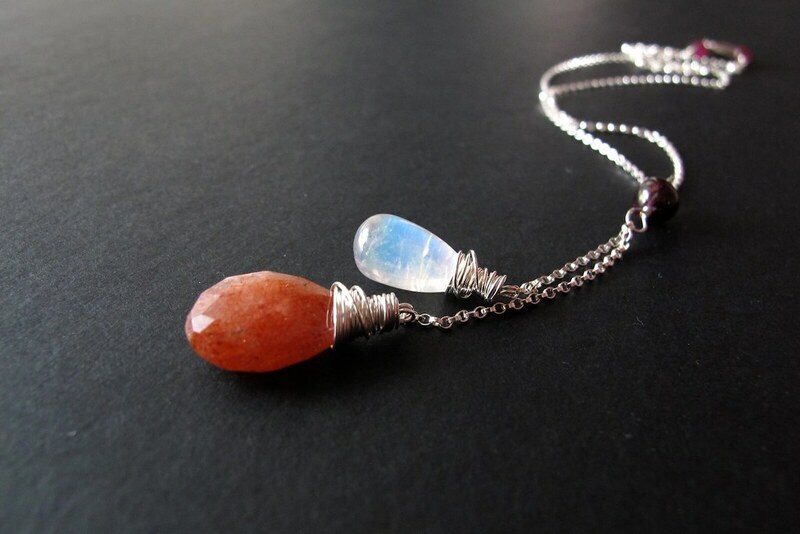 In relation to the sacral chakra, sunstone eases the flow of energy through the body. The sacral chakra is considered the knot where all the energies meet. As it is also known as the Life Force of the body, strongly intuitive communication is connected to this chakra. Sunstone is used to remove any blockages that may otherwise lead to confusion, co-dependency on others’ intuition and beliefs, repressed feelings and frustration. Sunstone has a highly positive effect on the physical body and the spiritual aspects. The stone of light, abundance, and leadership is typically mounted in beautiful pieces of jewelry that shouldn’t be exposed to harsh wear. 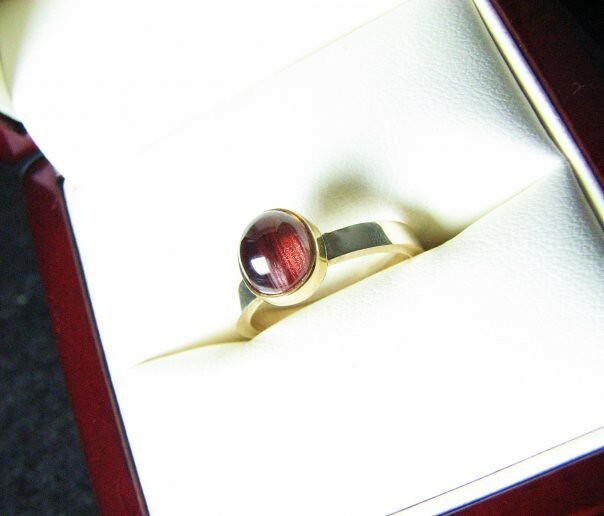 Although sunstone has a hardness of 6 on the Mohs Hardness Scale, it’s still regarded as a delicate stone. Cut and polished by experienced jewelers, Sunstone is an astonishing ornament for rings, pendants, and necklaces. Adding the sunstone meaning to the crystal’s beauty and healing properties, it’s easy to understand why it’s held in high regards around the world. Hey Buddy!, I found this information for you: "Insights into the Sunstone Meaning and Properties". Here is the website link: https://accessgems.com/sunstone-meaning-properties/. Thank you.